Welcome to my website! 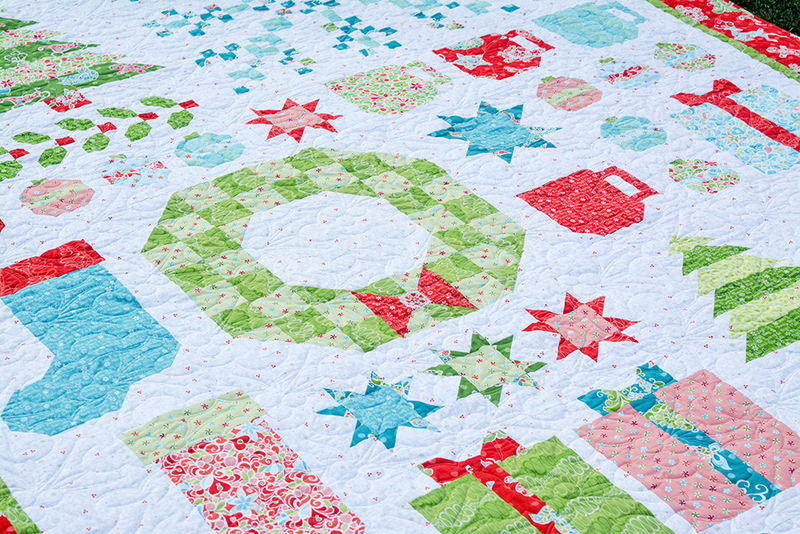 My name is Amanda Murphy and I’m a contemporary quilt and fabric designer. 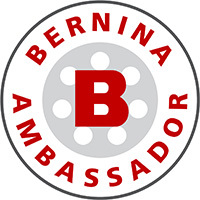 I’m also a BERNINA Expert and Quilting and Longarm Spokesperson. 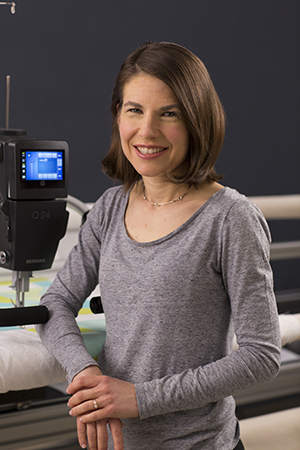 Me, with the BERNINA Q24 Longarm. If you are reading this page, welcome! If you aren’t familiar with my work, I’ll start by showing you some recent pieces. 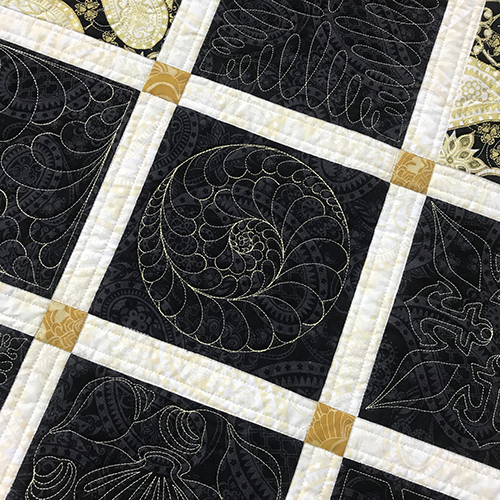 In 2018 I designed both a quilt and a fabric line called Jubilee to commemorate BERNINA’s 125th Anniversary – I love BERNINA! I teach both nationally and internationally and am a pattern designer and a fabric designer for Contempo of Benartex. Some patterns that also featured the Jubilee fabric line. Clockwise from the top left, Diamond Jubilee, Ruby Jubilee, Platinum Jubilee, and the Jubilee Ruler Panel. I think this might be my favorite new pattern! It is called Christmas Magic Sampler and features Christmas Magic, which ships to shops in April of 2019. 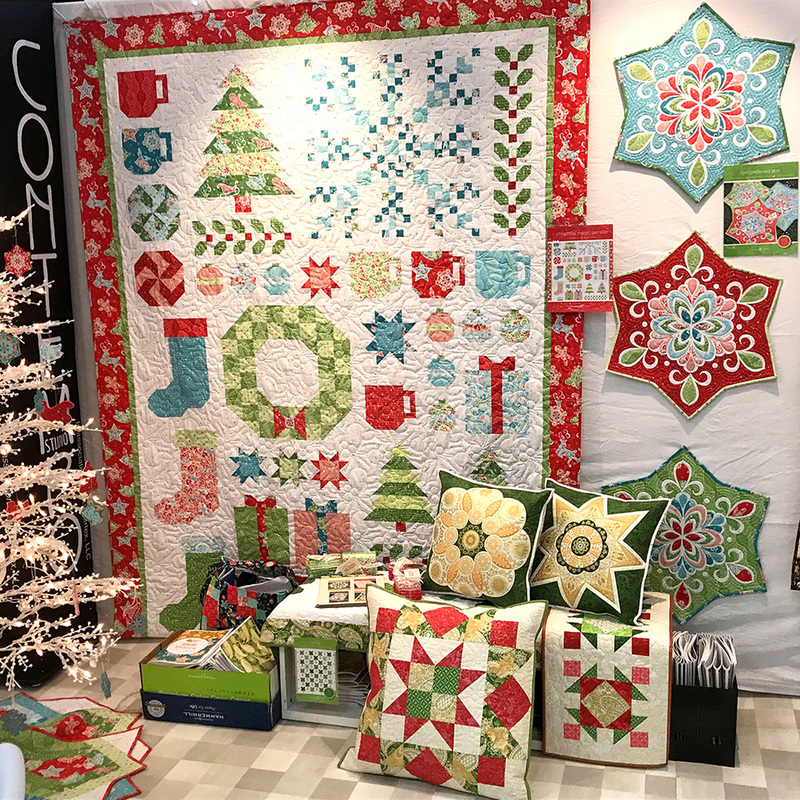 Part of my Fall 2018 Quilt Market booth, featuring Christmas Magic with a little Jubilee Holiday at the bottom of the shot. 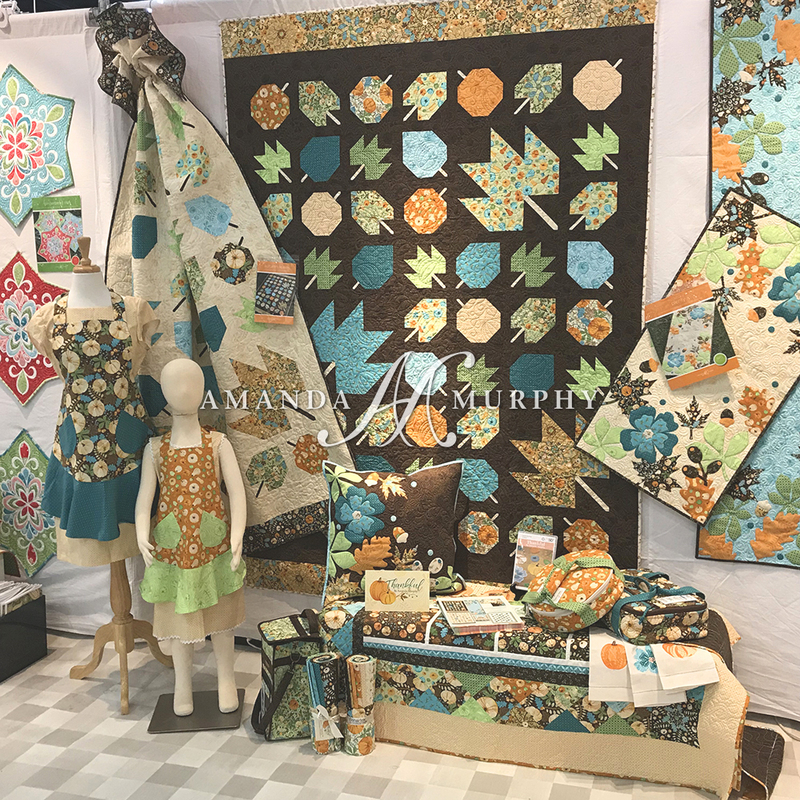 The other half of my Fall 2018 Quilt Market booth, featuring Thankful, which ships in March of 2019. 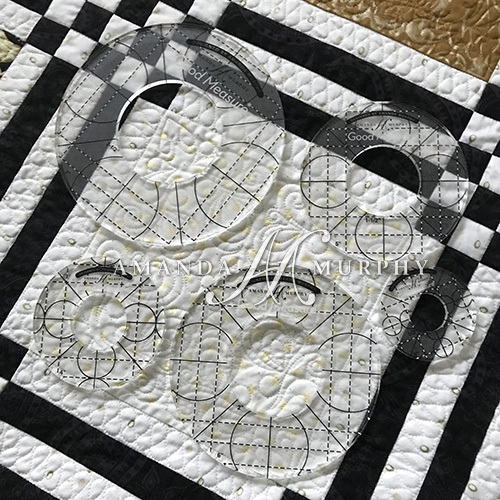 I design a line of Good Measure Quilting Rulers for Brewer Sewing featuring a non-skid backing and two color markings! 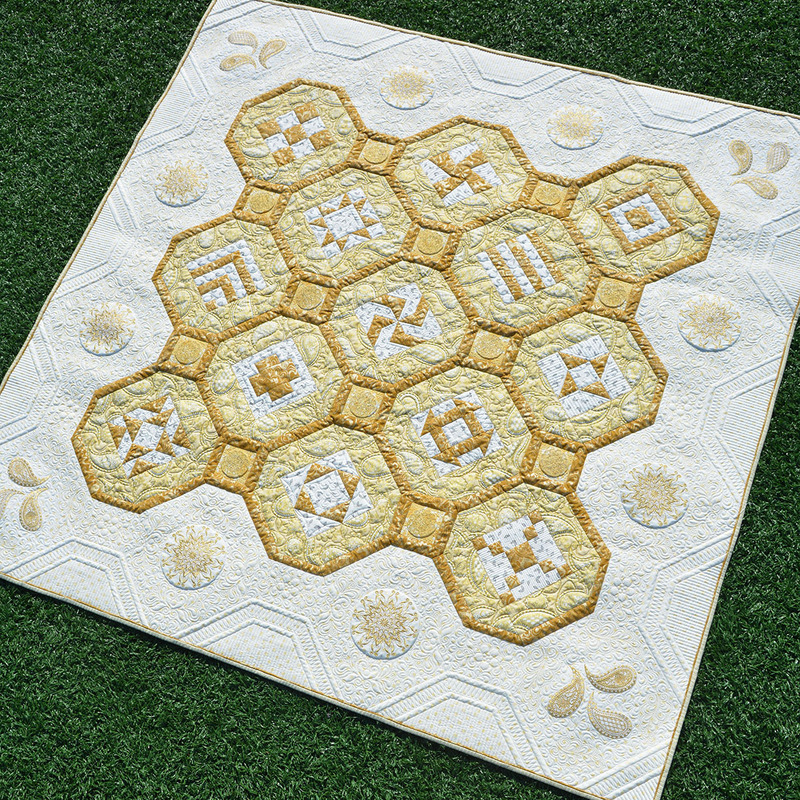 I’ve also designed many Embroidery and Quilting Collections for OESD. 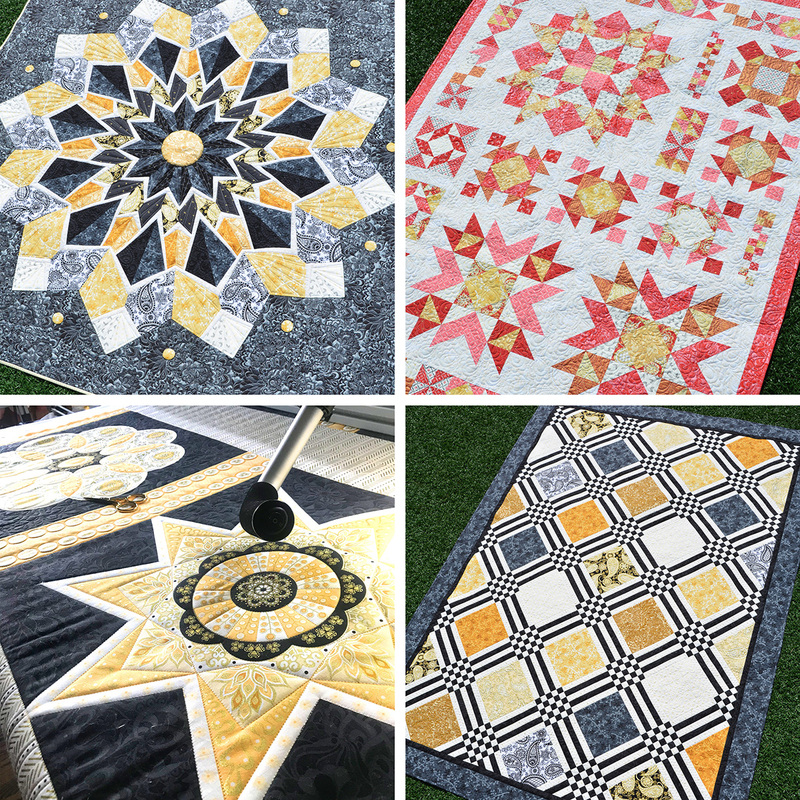 Some blocks from just a few of my Quilting Collections for OESD. 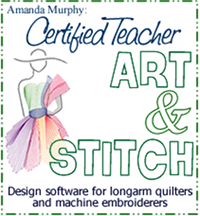 You can connect with me through my Facebook Group, Quilting with Amanda Murphy, or for signing up for my mailing list on the sidebar of this page. I only send out mailings about once a month, so no worries about clogging your inbox – I promise! 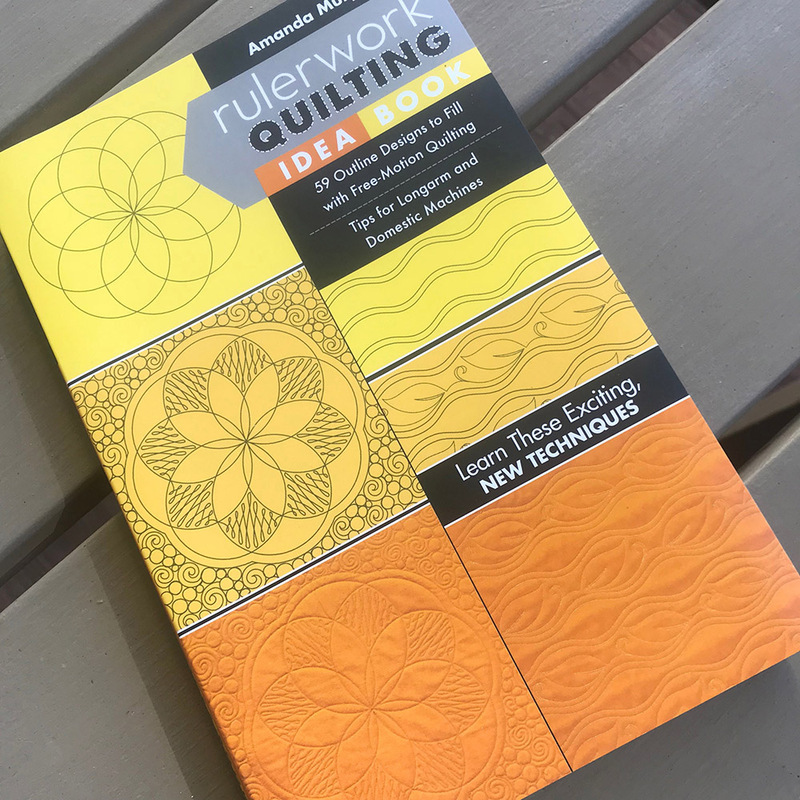 I hope that you enjoy my quilting products, and that I get to meet you in the future, either on Facebook or through one of my classes in person!